Pianist/composer/improviser Ran Blake, who celebrates his 80th birthday on April 20, and trombonist Aaron Hartley celebrate their 10th year in coproduction of New England Conservatory‘s famed Film Noir series with “Gaslighting,” a tantalizing mélange of scenes from Patrick Hamilton‘s original screenplay, Gaslight (also known as Angel Street, 1938), Gaslight (1940, directed by Thorold Dickinson) and Gaslight (1944, directed by George Cukor). As young Mrs. Manningham is driven slowly insane by her treacherous husband, members of the NEC Storyboard Noir Ensemble, coached by Aaron Hartley, create an original score, responding to the drama through improvisations, recompositions, and reinterpretations of works by Konrad Elfers, Bernard Herrmann, Gustav Holst, and Johann Strauss II. 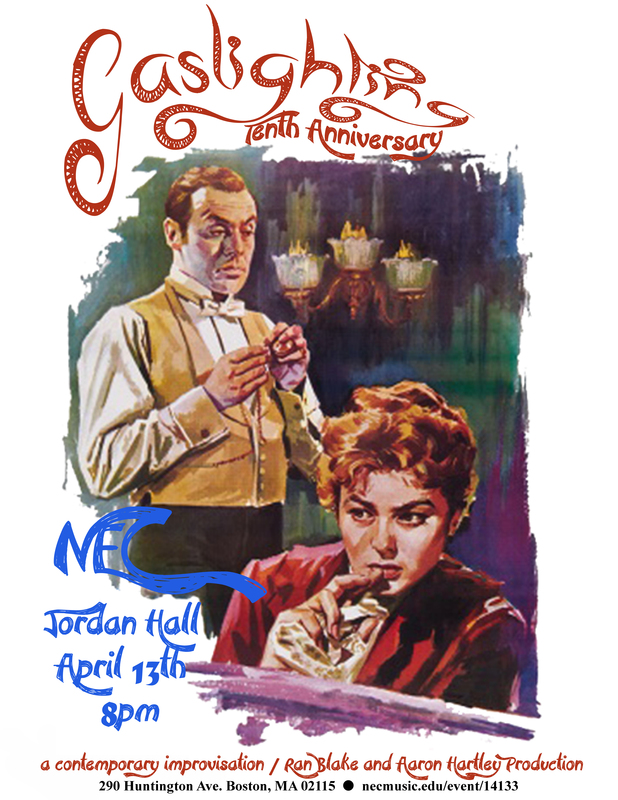 Other NEC musicians performing on this concert include Eden MacAdam-Somer with NEC’s Contemporary Improvisation Chamber Ensemble; actress/singer Greta DiGiorgio; alto saxophonist Mark Zaleski; pianist Jason Moran; NEC President Tony Woodcock; jazz department chair Ken Schaphorst with the NEC Jazz Orchestra; and piano department chair Bruce Brubaker. Members of Aaron Hartley’s Storyboard Noir Ensemble play a key role in this annual Film Noir concert. Each fall, ensemble members engage in a rich exploration of creating music for film, through aural study of original scores, development of student compositions in tandem with traditional repertoire, and collective improvisation. NEC’s FREE concerts do not require a ticket, unless stated in concert listing. Unreserved seating is available on a first-come, first-served basis. Doors open 30 minutes prior to the concert’s start time.